I hope everyone is having a great St. Patty’s Day! 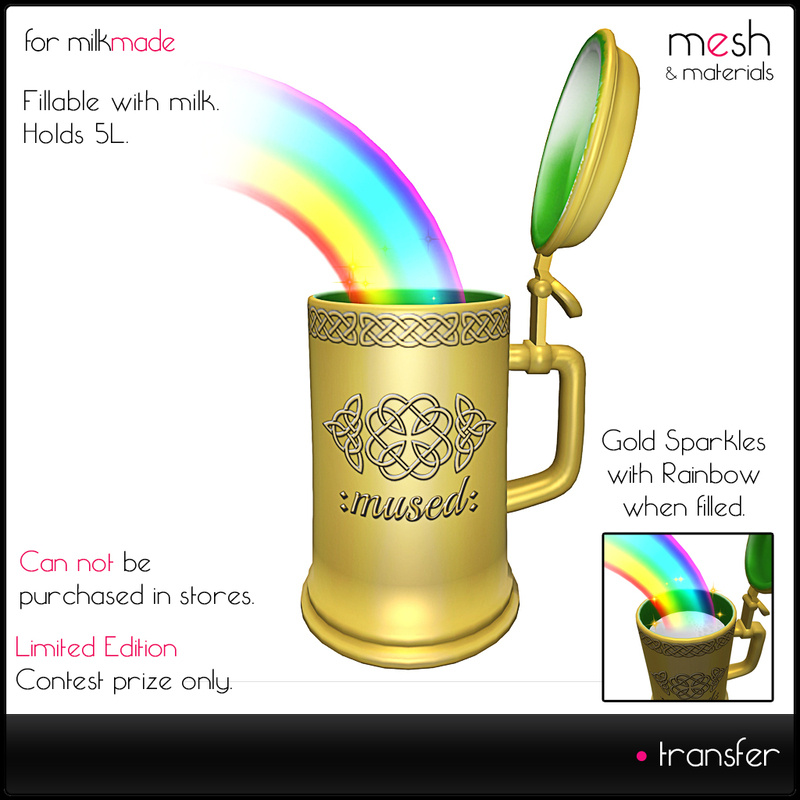 I am a little behind getting this posted today, but we will be celebrating St. Patrick’s day over the weekend with drinking contests giving you a chance to win some great limited edition and unreleased items! 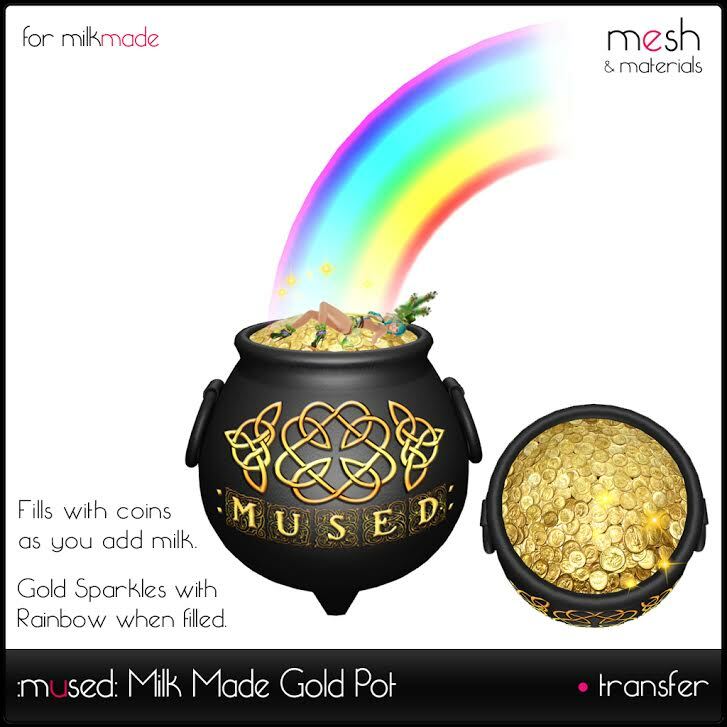 We will have “Limited Edition Lucky Condoms” for those Stud Pump enthusiasts out there, a “Limited Edition Gold Stein Tank” for our milk connoisseurs, and you can also try your chance at winning a new themed product for Milk Made, a gorgeous “:mused: Milk Made Gold Pot”! We will provide another post detailing contest tier prizes as well as dates and times for contests. Can’t wait to see you all there! – ❤ Mad. Filed under: News |	Comments Off on Happy St. Patrick’s Day!